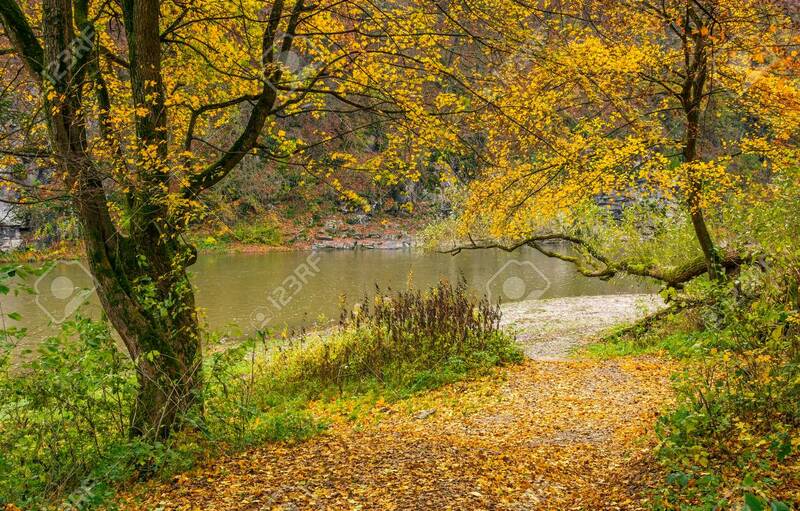 Lovely Autumnal Scenery With Yellow Trees On Rocky Shore. River.. Stock Photo, Picture And Royalty Free Image. Image 85415212.